A Certified Life Skills Coach (CLSC) assists people with making decisions about improving their personal and professional lives. As a Certified Life Skills Coach (CLSC) it is imperative to study the best practices to offer guidance in an on-going collaborative effort with clients. Job opportunities for Certified Life Skill Coaches (CLSC) are often found in large companies, school systems, behavioral and mental healthcare clinics as well as allowing individuals to become self-employed. Author: Diane S. Menendez Ph.D., Patrick Williams Ed.D. According to Bureau of Labor Statistics, a 23% increase in Certified Life Skills Coaches (CLSC) jobs is expected by the year 2018 in private organizations and social and human service agencies. Earning and maintaining and National Certification allows candidates to stand out in the field, as a professional Life Skills Coach. 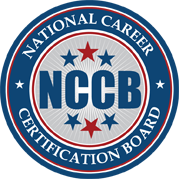 Successful completion of the National Career Certification Board’s (NCCB) Certified Life Skills Coach (CLSC) exam will illustrate that individuals have moved from the fundamentals of Life Skills Coaching to a more advanced and developed level of competency in the field of life coaching. A life coach's salary depends largely upon how much work experience she has in the field, according to Payscale.com. In September 2009, coaches with one to four years of work experience earned an average salary of between $29,253 and $43,987. The average salary range for five to nine years of experience was between $31,447 and $58,958. From years 10 to 19, life coaches averaged salaries of between $32,417 to $82,874.